Modelissimo is an fresh Adobe Muse template ready for Fashion Models Agency, Photography, Artistic Showcase or Portfolio. It’s simple and clean, cool looking’ one page template with desktop and tablet versions. 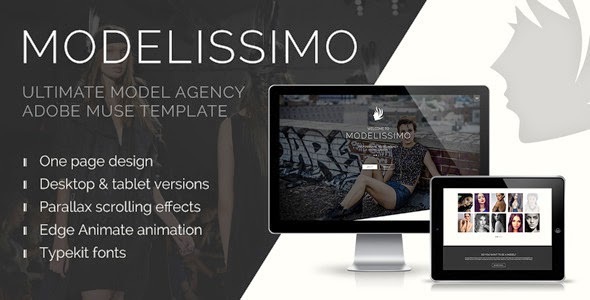 Item Reviewed: Modelissimo - Model Agency Muse Template 9 out of 10 based on 10 ratings. 9 user reviews.